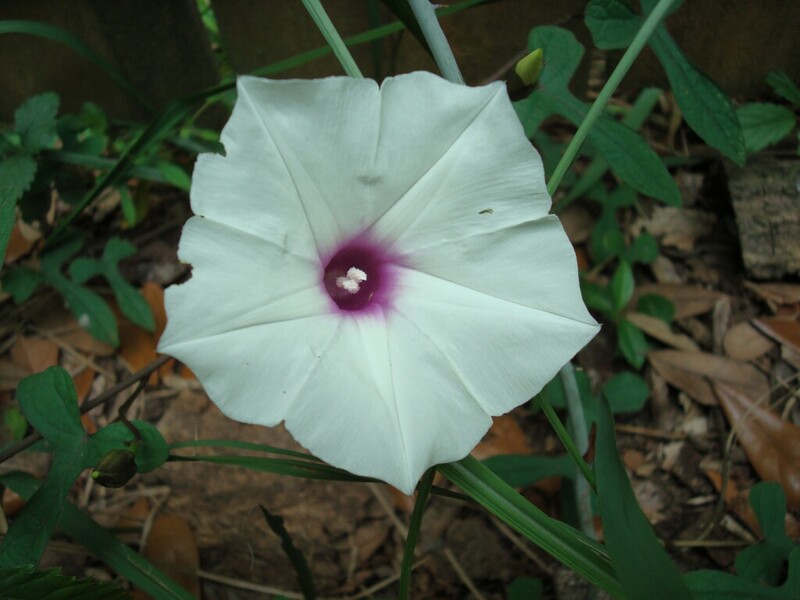 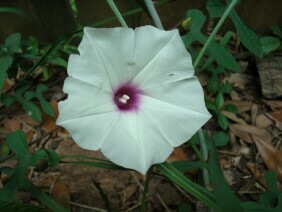 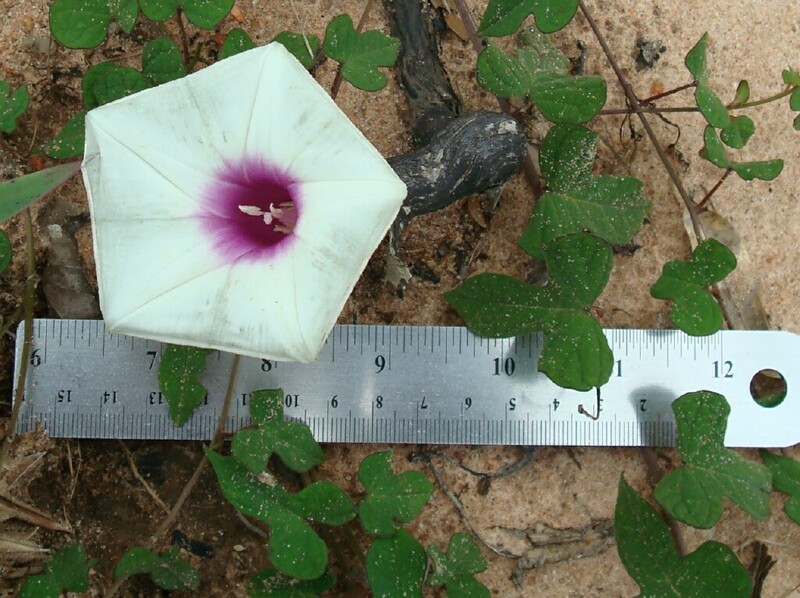 Man Of The Earth is also known as Wild Potato-vine. 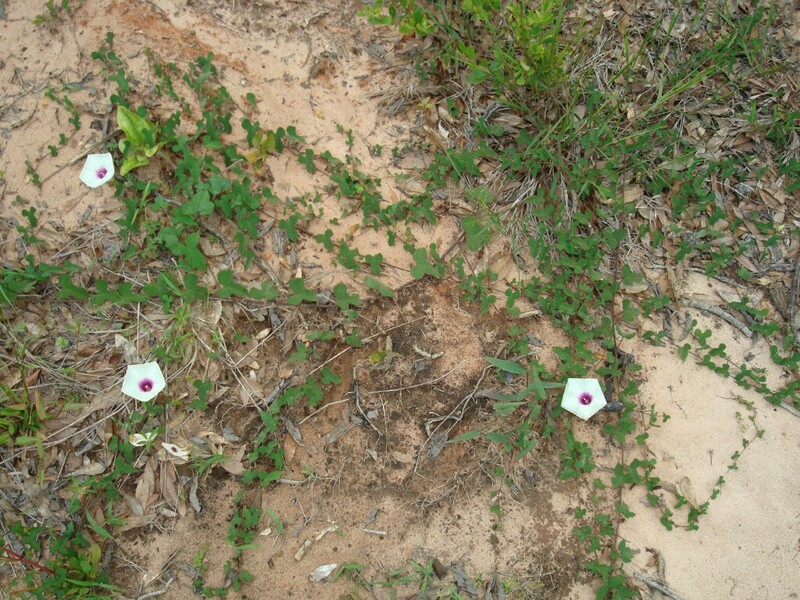 It is common in sandy cutover or recently cleared areas. 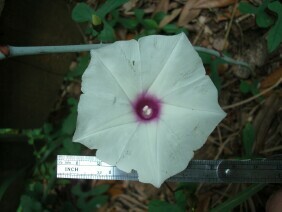 The large root is edible, hence the "wild potato" name. 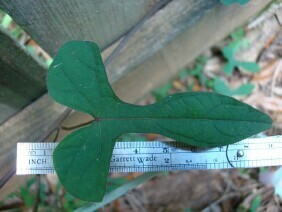 This vine typically lies on or near the ground instead of climbing. 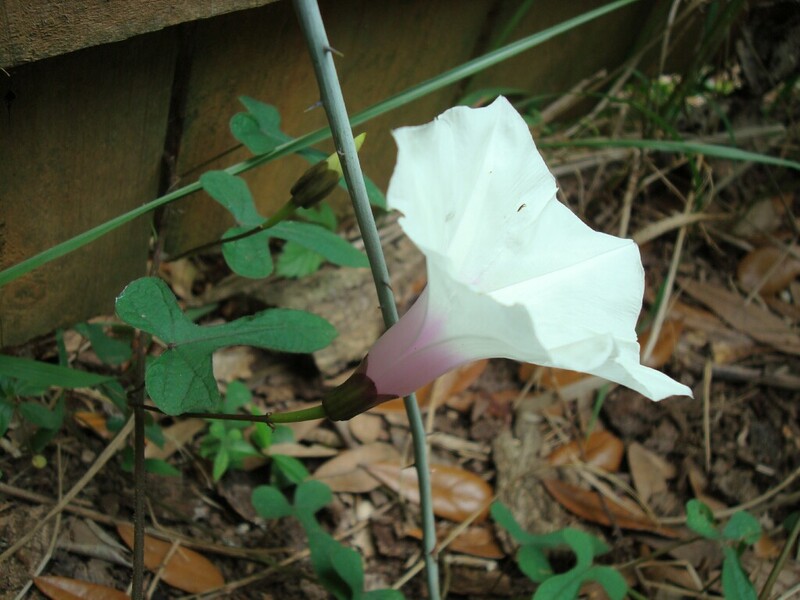 These plants were photographed in West Mobile, Alabama, in late May.